Our month of Harry Potter Christmas is coming to an end. But before we close the door on Christmas 2016, why not whip up a batch of Harry Potter Christmas cookies! Before you start, preheat your oven to 350° (or whatever temp your cookie dough calls for), set your refrigerated cookie dough on the counter to soften. Using a food processor, grind up a ½ cup of butterscotch chips. In a large bowl, mix together the butterscotch powder, one package sugar cookie dough and 1 ½ tsp of vanilla extract. Using a cutting board, roll out your dough to your desired thickness and cut out your cookies. Leave out for Santa & watch the gifts roll in!! Give Santa a taste of the Wizarding World with these delicious cookies. 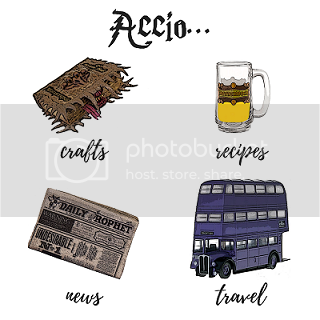 Have you made any Harry Potter goodies this year? Be sure to share them with us! Post in the comments below or find us on Facebook, Twitter, or Instagram. Be sure to subscribe to have all our goodies owled right to your inbox!